Some of you who have been around for a while will remember that I've owed the community this one for a looooooooooong time. Going all the way back to when I first mentioned it back in the days when the 68kMLA was running on the Snitz forum. My original copy of this was lost to time...and through a couple of moves. 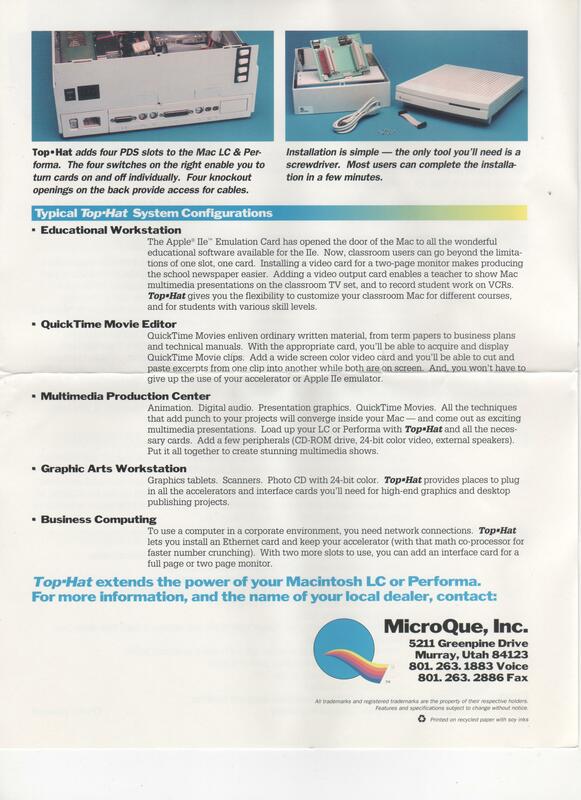 But now I have another QueStick, boxed, which came with all the original documentation, including this datasheet. So after all these years.....here it is. Enjoy. I've always been curious about those PDS expansion slot breakouts. I've got several ideas on how one could do that, but the board sizes make it a bit expensive to just have a board made and see how it goes. If someone has one, it'd be awesome to buzz it and see how it is wired up. Presumably it's entirely passive. "Four switches on the right enable you to turn cards on and off individually." Sounds like it might be an either, or, or, or implementation of the cards to me? In that case it's almost certainly a passive expansion setup with only the power lines switched. 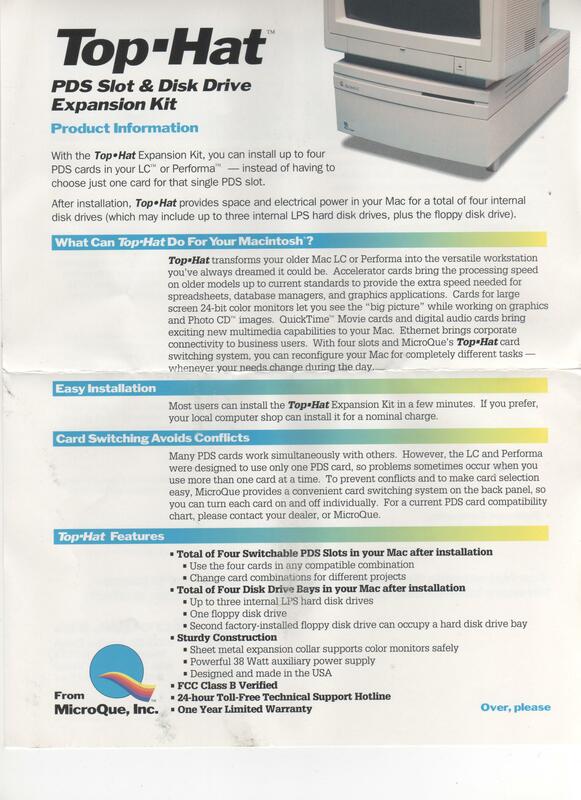 ISTR you explaining to me how the Furura II/Ethernet Daughtercard dual function addressing in a single NuBus Slot might be handled at some point. How many Interrupts/Slot address lines are there on the LC/LCIII PDS? The DGR board appeared to have active electronics for the (all active simultaneously?) card expansion setup. @ LC: Nice pamphlet post, I don't even recall that this accelerator/expansion chassis existed. It's a very strange duck! Off the top of my head, maybe 3? Like I said, I can think of a couple ways to do it, but I don't really have any plans to just go for it blind. I need to get back to my generic PDS/NuBus expansion testing PCB project. That's the carrot on the end of my "gotta clean the place out and get a new roommate campaign" stick. Soon, hopefully.